I can admit that I want this to work. I appreciate local brewers, and I want them all to do well and produce good, fresh beer for me to enjoy in large quantities (although I rarely actually drink in excess). This is from Nashville, my home away from the North, and that makes it about as local as it gets. Guys, let's do the hometown proud! First sip is definitely more characterful than a run-of-the-mill IPA. It is very bitter, as you might expect, but it is filled with untamed grains and grasses in the middle, and they kind of push everything else aside. The hops are trying to get through with actual taste, but the most they can afford is a floral puff. Instead, the coarse nature of the grains kind of grates on the mouth as it goes along. Not a sipping beer. Is it a gulping beer? Tip-in is light grains, slight bitterness, and significant carbonation burn (so far, not good). The middle tumbles in with a very coarse mix of grains, floral hops, bitterness, carbonation burn, wheat, rye, and some stale bread crust. The finish doesn't help things as the bitterness becomes louder and more intrusive only to be joined by a kind of snap of tartness on the tip of the tongue with a musty trail-off. 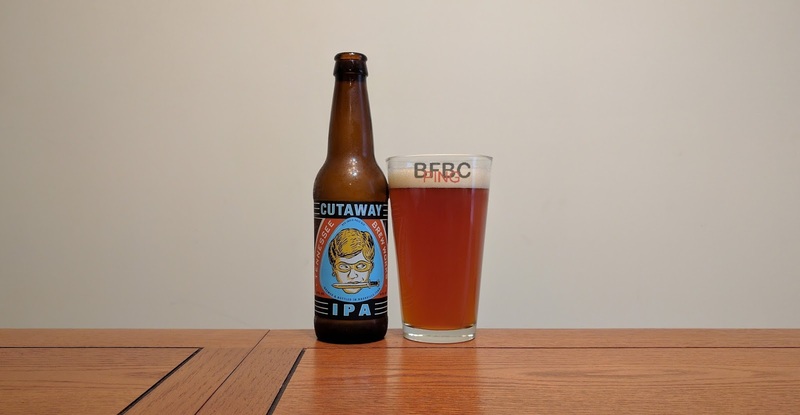 Bottom Line: Few are the IPAs I really don't like, but this is among them.